I intended to write this post over the weekend, but life had other ideas for me. 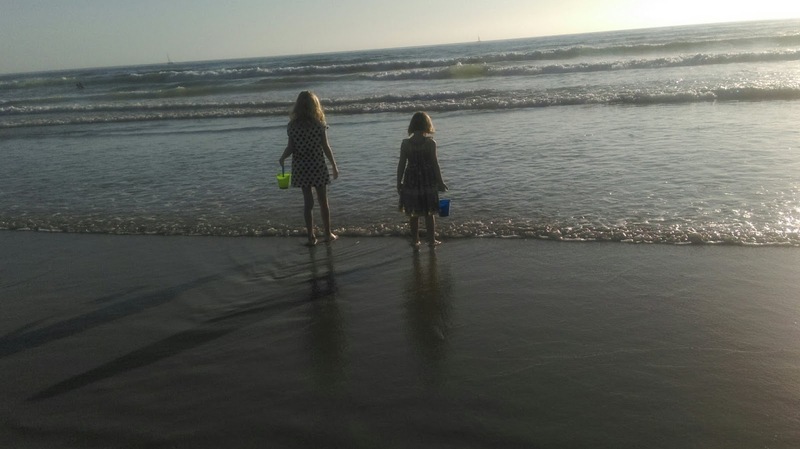 It was nothing bad or even dramatic- just gymnastics class, chores, play dates, birthday parties... and some unabashed fun: dinner at my sister's on Saturday and a family walk on the beach followed by dinner at Rubio's on Sunday. All in all, it was a good weekend, although I was frustrated by my inability to squeeze some writing time in around the other things. Of course, if I'd really needed to write, I would have made the time. The simple fact was that the other things were higher priorities for me, so as much as I wanted to write, it didn't happen. Sometimes, you have more priorities than time to accommodate them. In my experience, it is usually best to just accept that and focus on the priorities you can fit in, rather than trying to bend the space-time continuum to cram more in. I managed to write my planned Tungsten Hippo post (a new Read Together post- check it out), but decided not to try to do more. Anyhow, here I am writing the post today, so time marches on and yesterday's priority that got cut becomes today's priority that gets done. We took the family walk on the beach because Pumpkin requested it and we had a mini heat wave this weekend, so it was 85 degrees in our house. Ocean breezes and dinner cooked somewhere other than our kitchen sounded great. I'm glad we went. We all had fun. Pumpkin wanted to walk on the beach because she wanted to look for seashells. I had gone for a walk on the beach on Friday and I found a sand dollar. I only found one, so I wouldn't give it to her- if I gave her the sand dollar, Petunia would surely have demanded one, too, and I did not have another. Besides, I've endowed some meaning into that sand dollar. 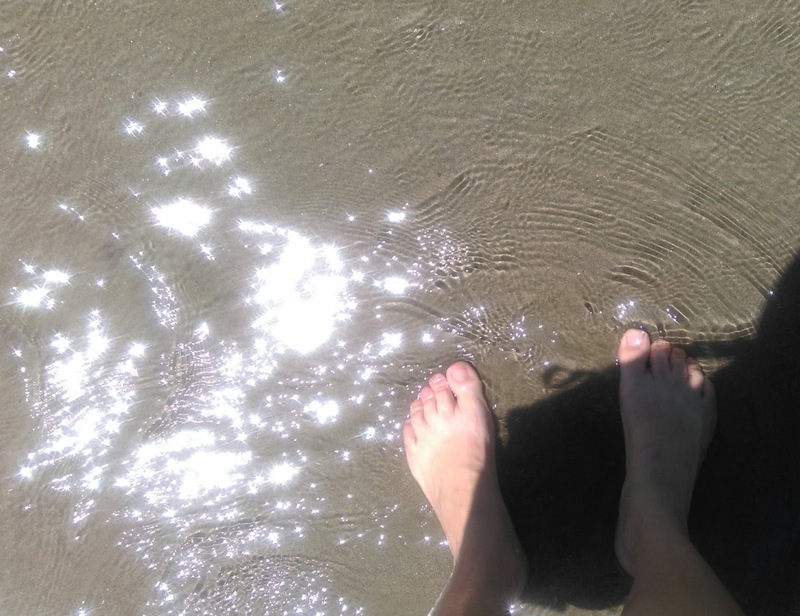 I was walking on the beach on Friday as a celebration for publishing Unspotted. I decided that I should celebrate my milestones, just like I would at a "real" company. I considered going to get ice cream, but then considered the effect that repeated success could have on my waistline, and decided to plan for both success and still being able to fit into my pants and went for a walk on the beach instead. It is something I love to do that I don't do often enough. So after lunch on Friday, I drove to Pacific Beach (my old neighborhood!) and went for a stroll. It was beautiful. The weather was warm, but there was a nice breeze. The water was warm (for the Pacific) and very clear. 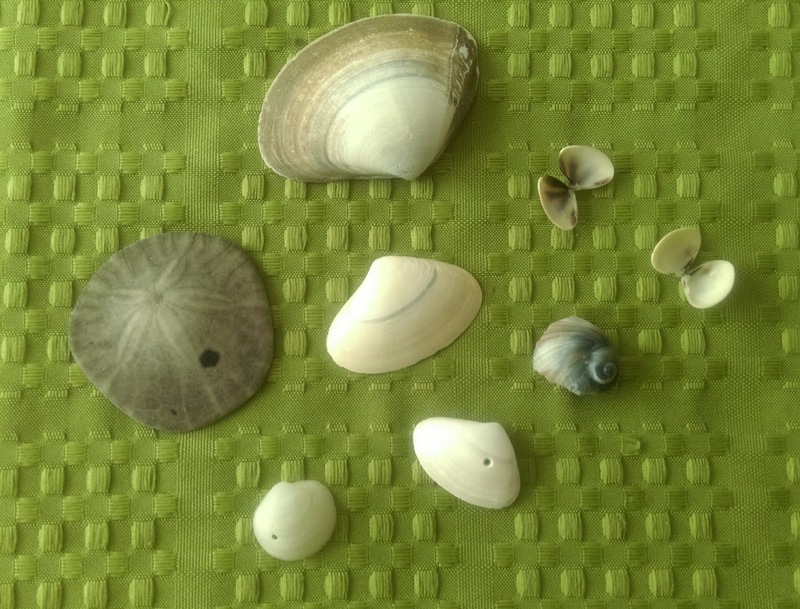 As I strolled, I picked up shells I found that I liked. My original plan, in as much as I had one, was to give them to my kids. But then I found the sand dollar. OK, I'll confess. First I found a different sand dollar. Then I accidentally broke it, and laughed to myself about it being a good thing that I hadn't put a lot of meaning into finding it. Then I found another, and managed to get it home without breaking it. So yeah, I may adopt it as a sort of mascot. 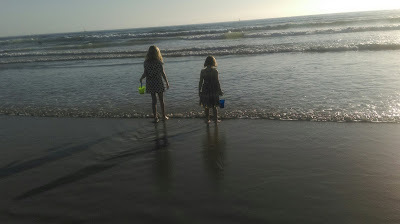 Finding two intact sand dollars in one stroll on a busy stretch of Pacific Beach is.... unlikely. If that can happen, maybe my business can make it, too. Or something like that. 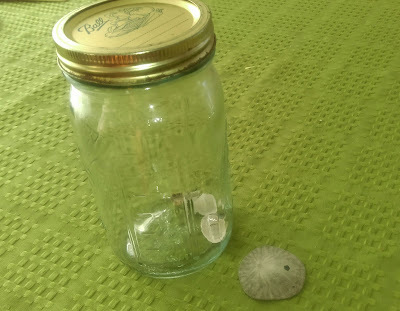 I let my kids each pick one non-sand dollar shell from my stash, and then I put the rest into a mason jar. I'm calling it my success jar. It will hold the shells I find during all of my celebratory walks on the beach. I have vague plans to glue the sand dollar to the lid. I'm still deciding what will constitute a milestone worthy of a walk on the beach. So far, I've decided I get a walk for each product release (books and seminars, only- I'm not serious enough about the t-shirts for those to count) and each time a product crosses into profitability. I'm sure I'll come up with a few other milestones, too, as my business plans adapt and mature. I'm going to fill that jar up. There are no guarantees on sand dollars, though- we didn't find a single one on yesterday's walk. I think you should err on the side of abundance in figuring out what deserves a walk on the beach! It doubles as exercise and stress relief (and probably is a great way to brainstorm ideas too), so it's all good.